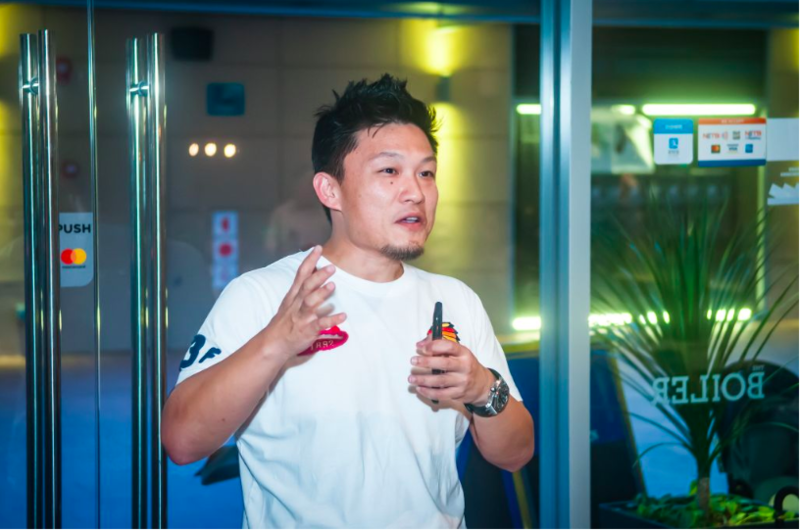 Founded in 2014 with their flagship outlet at Tai Seng, multi-award winning restaurant The Boiler’s concept of serving up fresh seafood cooked in a bag may seem familiar and done before by similar restaurants. But what’s so special about this establishment is the fact that their seafood is assured fresh, not to mention the unique, east meets west combination of delicious sauces each dish is steeped in. 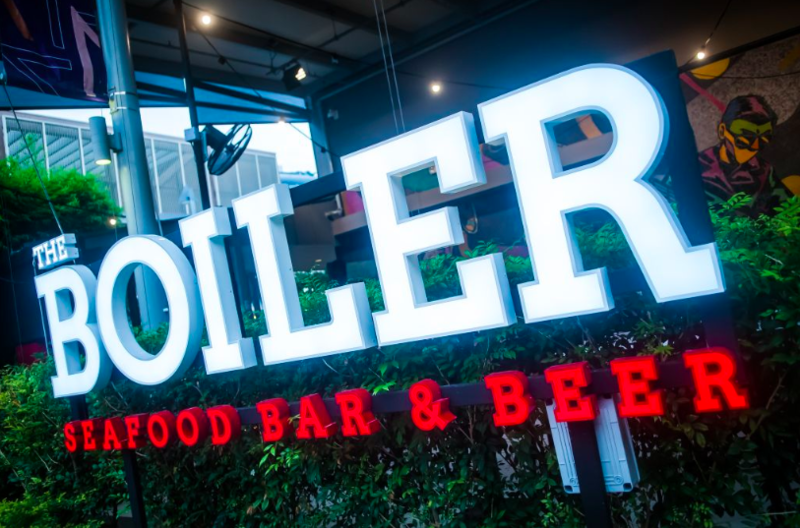 Now, The Boiler has opened their second outlet in a more central location: Esplanade Mall, in the heart of the city’s arts and heritage district. The new outlet not only has an air-conditioned main dining hall, it also has an al fresco bar beside it, and can accommodate up to 120 diners. The secret behind The Boiler’s sauces being so rich is the copious amount of butter that goes into them, along with the one common ingredient that ties them all together – a special chicken broth that is boiled for over 12 hours. 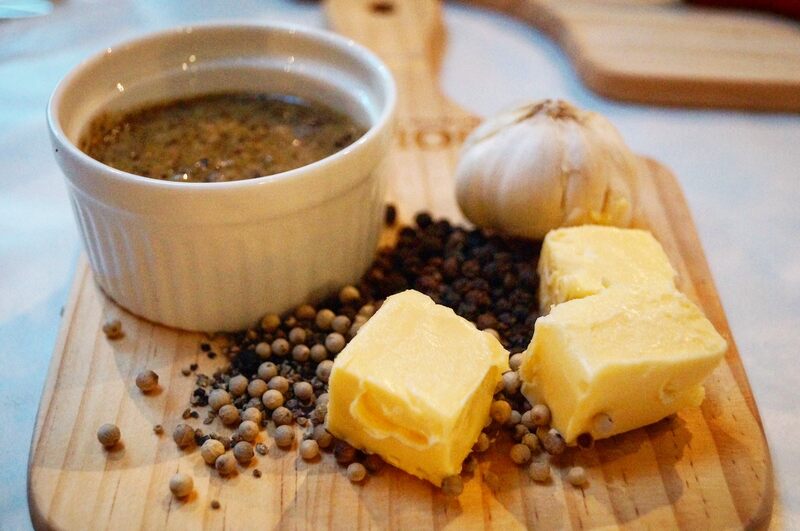 The choice of sauce spans an entire spectrum, suiting anyone and everyone’s palate, with flavours including Garlic Butter, Peppa’ Butter, and their signature The Works, whose spice-level can be adjusted to suit milder or more adventurous diners. In conjunction with the brand new outlet and their upcoming fourth anniversary, The Boiler is also bringing back their special Tamarind sauce for a limited time, while fan favourite seasonal, fiercely local sauces such as Sambal and Laksa will return on a monthly rotational basis. Diners can also expect to find a wide variety of other ala carte items on the restaurant’s menu at Esplanade Mall. 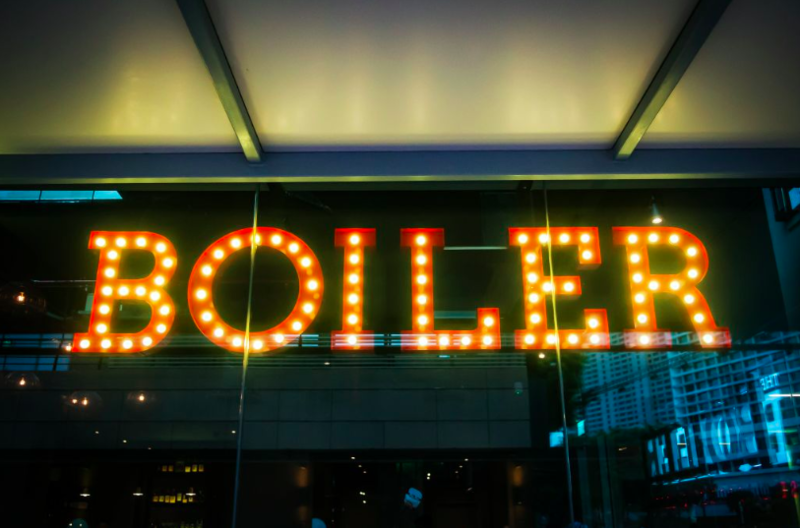 We had the chance to try four of The Boiler’s signature dishes. Each dish is cooked and bagged in a strong, quality plastic bag, ensuring that there would be no spillage and easy to takeaway. Even before the tasting began, staff thoughtfully provided bibs, gloves and even mobile phone covers to ensure we could enjoy our food completely, and without fear of getting a nasty stain to dampen the experience. 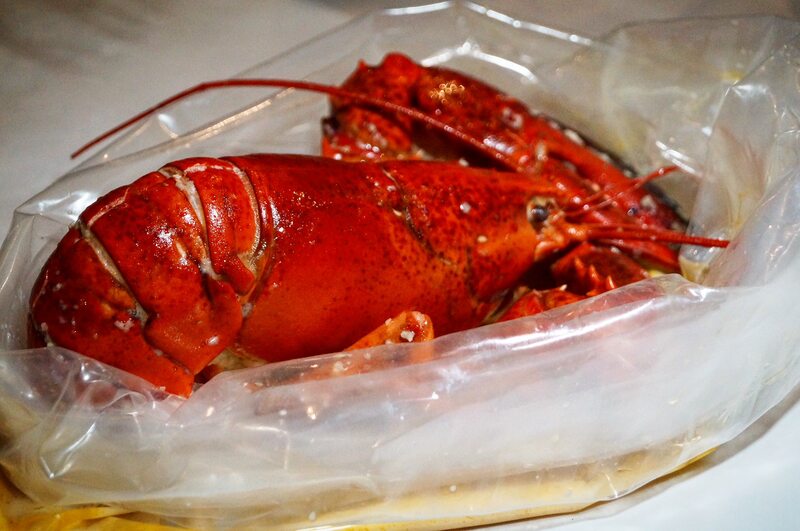 We started off with a whole Boston lobster in the Garlic Butter sauce. Here, the sauce was packed with so much flavour, it makes the perfect complement to side dishes such as the crispy fried mantou The Boiler also serves. 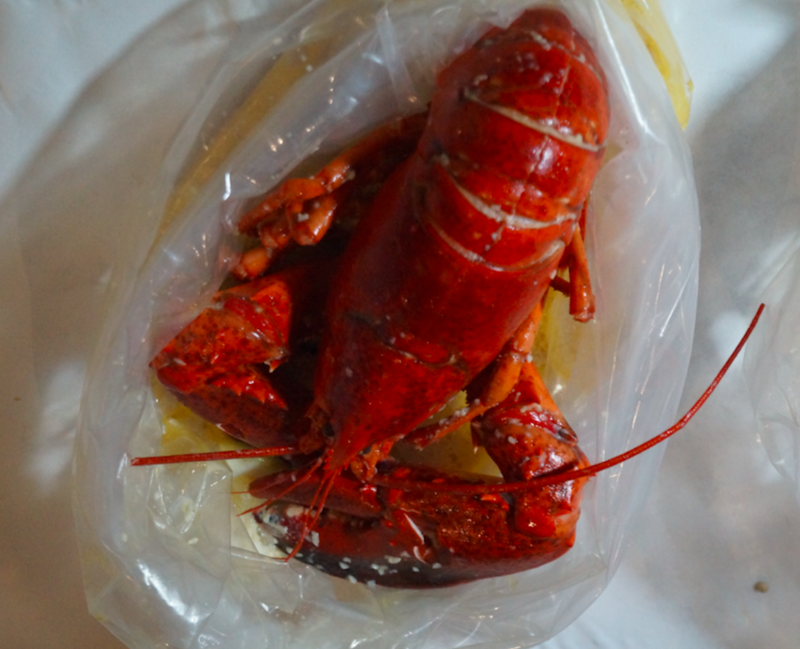 But when combined with the succulent lobster meat, the two flavours enhanced each other without overpowering the other, making for a satisfying start to the meal. 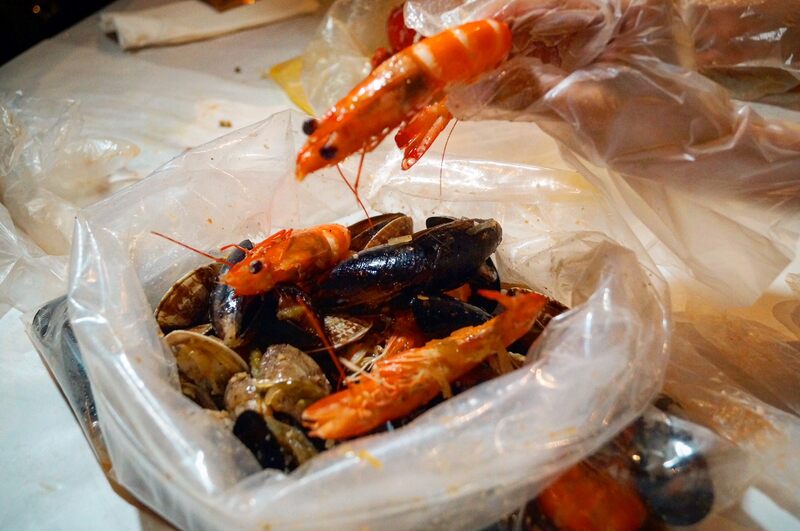 Our next dish was a nice surprise: a bag of prawns, clams and mussels, which they smartly chose to match with their Tamarind Sauce. While this sauce was a little sour, it provided a perfect backdrop for the star of the show, the sweet, fresh prawns and clams, providing a good contrast and complement in flavour that went well with the whole dish. 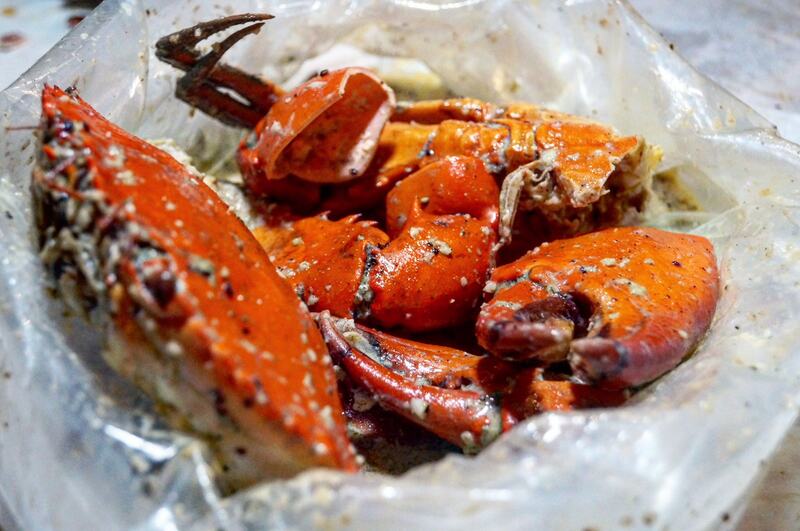 We were then presented with a Singaporean favourite: The Boiler’s own take on the the black pepper crab, with a mud crab cooked in Peppa’ Butter sauce. 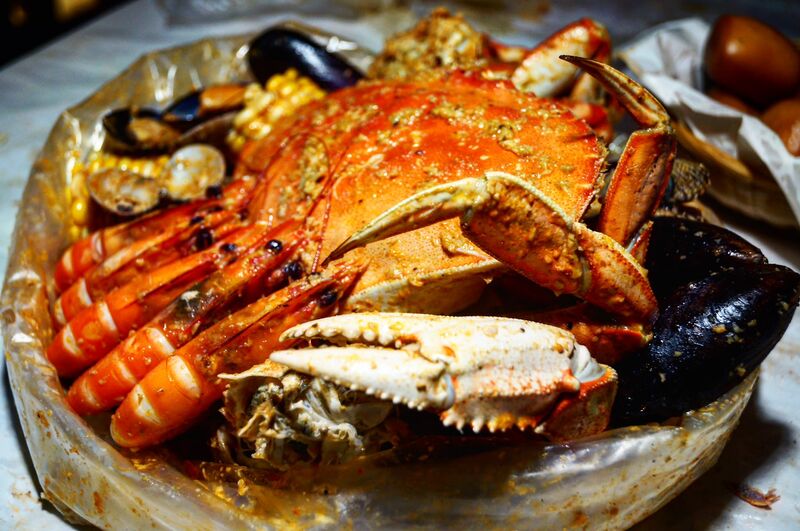 Here, the crab meat was fully able to absorb the flavour, a very robust combination of black and white pepper to balance the tastes and bring out the full aroma of the crab when eaten together. We ended off with our evening with the piece de resistance: the aptly named The Works, which featured the best seafood on offer with their signature sauce. Here, sauce was adjusted for the happy medium of a mid-range level of spice. 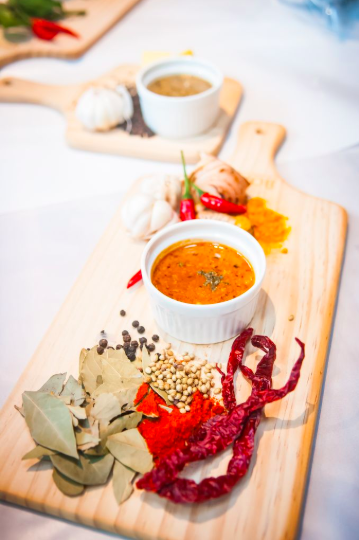 The Works itself comprises a medley of ingredients (hence its name), with taste notes like turmeric, blue ginger, chilli padi, paprika and cajun to give it a real kick. At once unique yet hitting you with a strange, nostalgic love of all the tastes involved, The Works truly is a winner and deserves to be the signature sauce, and should be the one sauce you go for if unable to come to a decision. With such an earnest and sincere business philosophy in mind, alongside their scrumptious sauces, it’s no wonder that The Boiler has won both the hearts and tastes of so many members of the public. During their opening month in August, The Boiler will also be offering plenty of deals and opening promotions, so stay tuned for ways you can sweeten your meal further on their Facebook. One only expects this restaurant to thrive in their new outlet as fans and new diners flock to them for a delectable pre or post-theatre meal, the perfect local complement to ensure a great night out.